Directed & produced by, and starring, Mel Gibson, Braveheart is a historical war drama about William Wallace, a 13th-century commoner who became a mythic figure while leading the people of Scotland to throw off the tyrannical shackles of England's King Edward "Longshanks". Last released on home video nine years ago, Braveheart leaps to 4K Ultra HD Blu-ray with a pristine, filmmic Dolby Vision (& HDR10) video transfer and a wonderful Dolby Atmos soundtrack that highlights the late James Horner's iconic musical score. Highly Recommended. Braveheart endures in the hearts of filmgoers not because of its relentless and at times remarkable action scenes, or because of Mel Gibson's fine acting and directing. It lives on in our collective hearts because of the message it so boldly embodies. Freedom comes at a cost, at the risk of cliché; freedom isn't free at all. Blood is shed and lives are lost for the cause of something greater. That's why Braveheart, the story of a man who united a nation against tyranny, packs as much punch today as it did the year it was released. By and large, we enjoy stories about the underdog, especially if they're based in truth. Film can transport us to a time when people fought against all odds for something they believed in. 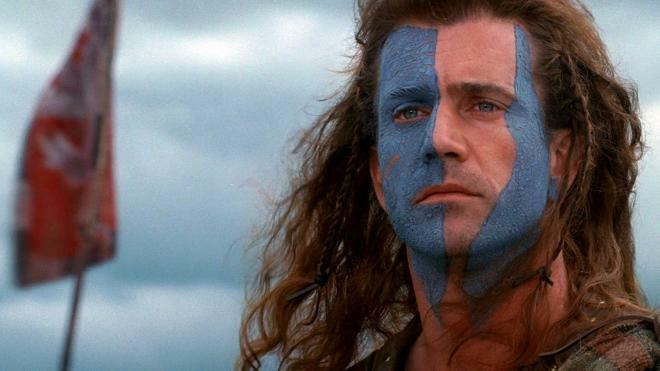 William Wallace (Mel Gibson) actually did exist. While the movie takes artistic liberties with the story, the core details are there. Mankind can do great things, even seemingly impossible things, if we just believe and act. As the film opens, the British empire is in disarray. King Longshanks (Patrick McGoohan) is facing tough times in trying to quell the Scots up North, who do nothing but cause him trouble. He claims the right of "primae noctis," which allows the nobleman of the township to take a bride to his own bed on her wedding night. Longshanks has decided that if he can't get rid of them, he'll slowly breed them out with English blood. Under these circumstances, young William Wallace falls in love with his childhood sweetheart and they marry in secret so she won't be defiled by the local nobleman. Yet after they are found out, and she is killed, Wallace goes on a rampage killing any and every Englishman that comes near him. In watching Braveheart, it's interesting to note the transition of Wallace's goal. At first, his need for revenge consumes him, he's purely killing the English because they killed his wife, but a slow transformation occurs, and his quest for revenge turns into something more broadly meaningful, something that can actually change lives for entire nations. Braveheart is not only a marvelous action film, it's also a tender love story. I'm not just talking about the love story between Wallace and Murron (Catherine McCormac), but the love story between Wallace and his people. Even though most of the times his own people conspire against him because of greed and self-interest, Wallace still fights for them. He still hopes to gain their allegiance, and it's heartbreaking when he is denied this time and time again. Message and story aside, Braveheart excels on technical merits as well. The direction and cinematography are top-notch. The color palette is blended well to capture the lushness of the English and Scottish countryside. That such bloody battles could take place in such an intrinsically gorgeous place is beyond comprehension. Wars are fought everywhere, but nowadays we picture those wars being fought against dusty, desert-like backdrops. Britain is green and strikingly beautiful. When fighting isn't going on, the countryside seems so serene and peaceful it's hard to believe it was home to such blood-spattered battles. 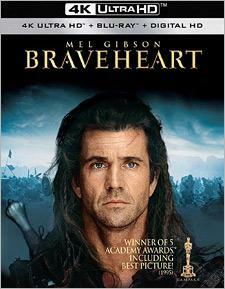 Braveheart, winner of the 1995 Academy Award for Best Picture, still has its detractors, but I'm not one of them. Every time I watch this film I'm still moved by its message and touched by its tenderness. Braveheart debuts on 4K Ultra HD Blu-ray as part of a three-disc + digital combo pack. Inside, you'll find one UHD Blu-ray, two Blu-rays, and instructions for unlocking the film's digital copy via UltraViolet and iTunes. As of this writing, the code unlocks a 4K digital copy. Vudu offers the movie in HDR10 while iTunes boasts Dolby Vision HDR grading; neither service includes Dolby Atmos, which is a shame. Braveheart returns to home video with a luscious 2160p HEVC encode that's been graded for Dolby Vision as well as HDR10 high dynamic range and framed in the film's original 2.39:1 aspect ratio. With Saving Private Ryan, Gladiator, and now this, Paramount Home Entertainment has made May 2018 an exciting time for film enthusiasts who own 4K displays. I don't know who's in charge of the studio's 4K efforts, but they're leading the team to greatness at the moment. I can't say Braveheart has ever been a stunner on home video -- from VHS to DVD to Blu-ray, the film has always been purposefully dower -- but this jump to 4K Ultra HD Blu-ray reveals a version of the movie that may rival the film's original theatrical run. Despite occasional softness inherent to the photography, Braveheart in 4K is more often wonderfully sharp and detailed. From the actors' faces and beards to the wide Scottish vistas to the ornate noblemen costumes to individual blades of grass in the meadows, I've never seen Braveheart this clearly. Even makeup effects are more gruesome, from the many, many stab-wounds to Robert the Elder's bubbling Leprosy. Yet, there are no signs of digital sharpening or noise reduction as the grain structure remains intact and naturally filmmic. Colors and contrast also reveal noticeable improvements in A-to-B comparisons. Thanks to Dolby Vision (or HDR10, depending on your setup), green battlefields seem lusher, crimson costumes and rivers of blood seem more vibrant, and blue skies seem more infinite. Grain levels do spike during certain nighttime shots, but overall black levels are deep and inky, plunging the story into darkness when needed while revealing details along the way. There's also a touch more highlight detail in bright, cloudy skies. 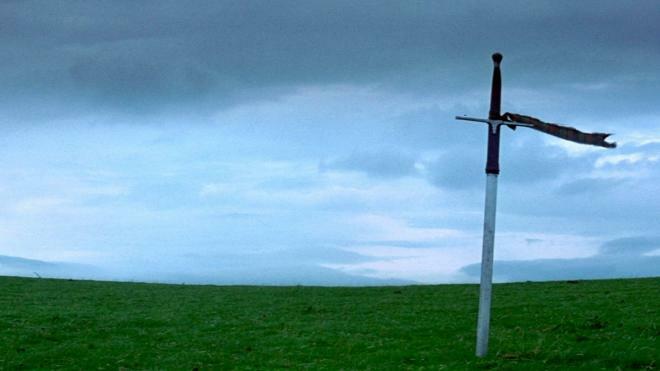 If you're a Braveheart fan, know the movie's never looked better. Buy this disc and devour it on the biggest, brightest HDR-capable display you can afford. While less articulate and refined compared to more aggressive object-based sound mixes, Braveheart sounds wonderful in a new Dolby Atmos soundtrack that sets James Horner's iconic musical score free to soar over and around the audience. Released early in the modern surround era, Braveheart offers up a fine mixture of clear dialog, warrior screams, clashing swords, flying arrows, and thundering horses. Dialog and sound effect elements sound full and uncompressed across a variety of tonal frequencies, though ever-so-slightly less dynamic than the best-of-the-best mixes. Overhead sound placement is moderate, overall, but there are some nice moments with falling rain and flying weapons. The true showstopper of the whole mix is the way James Horner's iconic musical score radiates from every speaker -- front, side, behind, and above. It's like sitting in the middle of an orchestra with Horner as he fuses 20th Century synthesizers with classical and choral elements. Speaking of the James Horner, revisiting Braveheart reminds me how much I miss him. There's a lot of love about this man's work, how he evokes emotion while also retaining a signature style. His orchestrations on Glory might be my personal favorite, but when you look at 1995 when created the iconic music for Braveheart AND Apollo 13 (plus four other movies), I'm simply blown away by his output. Horner's music and the rest of Braveheart have never sounded more epic than in this Dolby Atmos mix. In terms of nitpicks, if there was a way to put a little more room tone and atmospherics into the overheads and a tad more LFE grunt, we could argue the mix could be even better. But, doing those things might stray too far from the film's original designs. As such, and much like Gladiator, Braveheart straddles the fine line between remaining true while evolving for current generation technologies. Well done! While the only bonus feature found on the 4K disc is Mel Gibson's audio commentary, this three-disc packaging includes the two Blu-rays from the previous Sapphire Series release where you will find an HD version of the movie along with all the special features, which we reviewed HERE. Braveheart is an expertly-executed historical war drama that brings a larger than life character to the screen with messages about loyalty and honor and mankind's quests to be unburdened by unjust leaders. As a 4K Ultra HD Blu-ray, I love what Paramount has achieved this spring and can't wait to see as many 4K scans of catalog titles as they can put out. 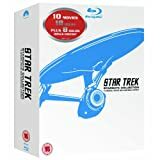 Blu-ray was (and is) a very good format, but 4K with HDR and hemispherical surround sound takes everything to the next level. More detail, more color, more contrast, more immersion. Braveheart has never looked, nor sounded this good. Highly Recommended.